A general view of the draft stage during the 2011 NFL Draft at Radio City Music Hall on April 28, 2011 in New York City. The city of Chicago is set to host the NFL Draft in late April, and as part of the agreement to bring the event back to the Windy City for the first time in a half century, the NFL reportedly had some expensive requests. The Chicago Tribune, through a public records request, obtained a five-page wish list the league sent to organizers Choose Chicago before they agreed to move the draft from Radio City Music Hall in New York City, where it’s been hosted for the past several years. -Free use of the Auditorium Theatre and other Roosevelt University facilities. -Free parking and free police escorts for prospective draft picks and NFL dignitaries. -$4 million worth of street pole banners, billboard, taxi tops, 30 second spots in taxis, bus wraps, and newspaper ads promoting the NFL draft. -Closing down roads around Grant Park and Congress Plaza for nearly three weeks. -Assurances that the league will get to keep the revenues from all memorabilia sales (it's unclear whether this means the city will be waiving sales taxes on the merchandise, and the city declined comment). 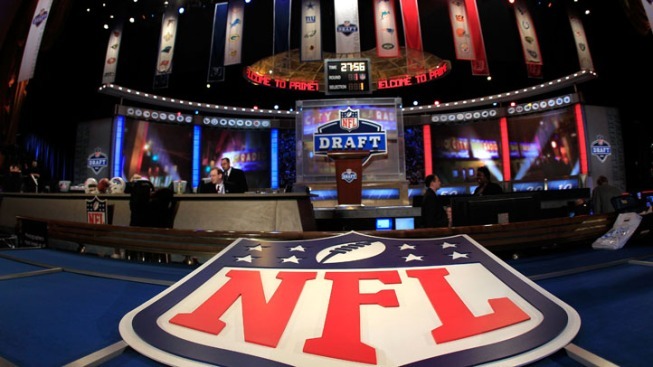 -An agreement to host the 2016 Draft if the NFL so desires. There are a variety of other requests that the NFL made, but it was not clear if the city or Choose Chicago has agreed to any of them. The city has maintained that the event will not use taxpayer money. “While the City does not yet have a copy of the final agreement, the NFL and Choose Chicago will be responsible for any costs associated with city services during the event, and no taxpayer dollars will be used to host it," city spokeswoman Shannon Breymaier said in a statement to NBC Chicago. The NFL routinely makes such requests for the Super Bowl, much to the chagrin of host cities (Glendale, Arizona officials claim they were going to lose money in hosting the game), but the events do typically bring with them exposure and tourism dollars for the host cities. The draft will begin on April 30 and run through May 2.